Virginia (15-0) is off to its best start since the 1980-81 season when that team led by legendary center Ralph Sampson started 23-0. UVa seeks its first 4-0 ACC start for the first time since 1994-95. The Cavaliers are ranked No. 2 for the first time since March 8, 1983. UVa ranks first in the nation in scoring defense at 51.1 points per game. The Virginia-Clemson game will be televised on the ACC Network and streamed online at ESPN3.com. 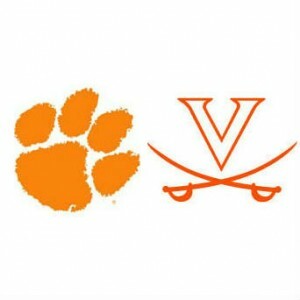 Single-game tickets for the Virginia-Clemson contest may be purchased online at VirginiaSports.com/tickets or through the Virginia Athletics Ticket Office by telephone and in person. The ticket office is located in Bryant Hall at Scott Stadium and open Monday through Friday from 9 a.m. until 5 p.m. Telephone purchases can be made by calling 1-800-542-UVA1 (8821) or locally at 434-924-UVA1 (8821). Tickets may also be purchased on game day at the JPJ box office starting at 6:30 p.m.
Virginia: Tony Bennett (Green Bay, 1992), 121-60 in six seasons at UVa and 190-93 in nine seasons overall. Clemson: Brad Brownell (DePauw, 1991), 83-64 in five seasons at Clemson and 250-149 in 13 seasons overall. UVa is ranked No. 2 in the latest Associated Press and USA Today coaches polls. UVa is ranked No. 2 in the AP poll for the first time since March 8, 1983. Virginia has delivered three of the nine home losses by teams currently ranked in the top 17 of this week’s AP poll (Notre Dame, Maryland, VCU). UVa is one of three teams (Duke and Arizona) that have been ranked in the top 10 for 13 straight weeks dating back to last season. Virginia is 70-52 all-time vs. Clemson, including a 42-16 record in Charlottesville, in the series that dates back to 1935-36. The Cavaliers are 4-0 in their last four meetings against the Tigers in Charlottesville, including a 78-41 win on Feb. 7, 2013 at John Paul Jones Arena. The Cavaliers are 3-2 in their last five meetings vs. Clemson and 5-5 in their last 10. The Cavaliers went 1-0 vs. the Tigers last season, posting a 63-58 win at Littlejohn Coliseum on Feb. 15, 2014. Head coach Tony Bennett is 4-3 all-time vs. Clemson. Darion Atkins had a season-high 14 points and eight rebounds to lead No. 3 Virginia to a 62-56 win at then-No. 13 Notre Dame. Malcolm Brogdon added 13 points and four assists, and helped hold Notre Dame’s Jerian Grant to just six points on 2-8 shooting. Justin Anderson added 11 points, and Mike Tobey contributed eight points and seven rebounds off the bench. Virginia, which has won eight straight games vs. Notre Dame, held the Fighting Irish to 33.9 percent field goal shooting. The Cavaliers shot 49 percent, but were outrebounded for the second time this season 35-34. Joe Harris had 16 points to lead four Cavaliers in double figures in a 63-58 road win at Clemson. Malcolm Brogdon added 14 points, including 6-of-6 free throws in the last 1:21 to secure the win. Mike Tobey (14 points) and Anthony Gill (12 points) combined to shoot 11-of-13 from the field in the win. Clemson’s K.J. McDaniels had a game-high 24 points. Virginia plays at Boston College on Saturday, Jan. 17. Tipoff at Conte Forum is set for 2 p.m. The game will be televised on the Regional Sports Network.